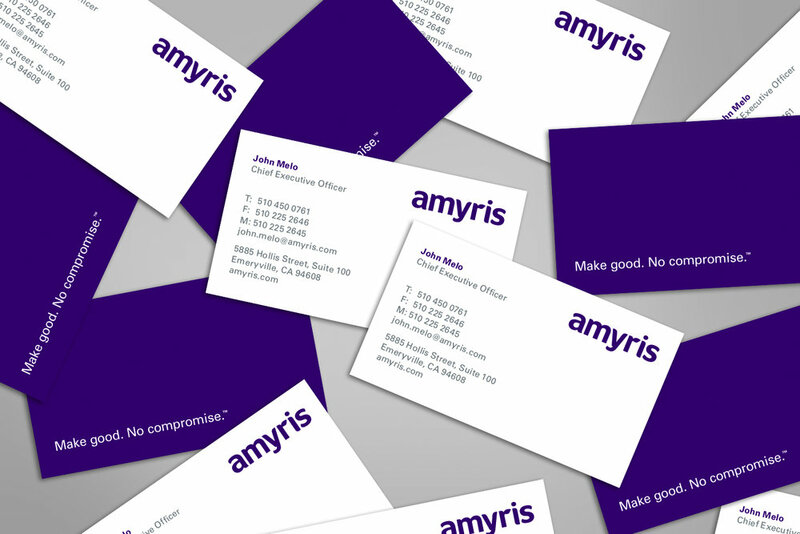 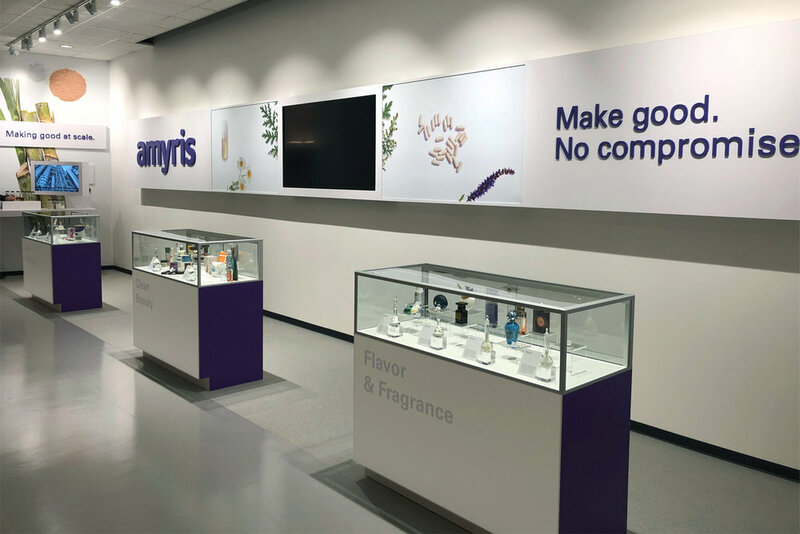 The prior Amyris identity was associated with a chemicals and biofuels company, and needed to reflect a consumer-friendly business using clever science to make sustainable ingredients. 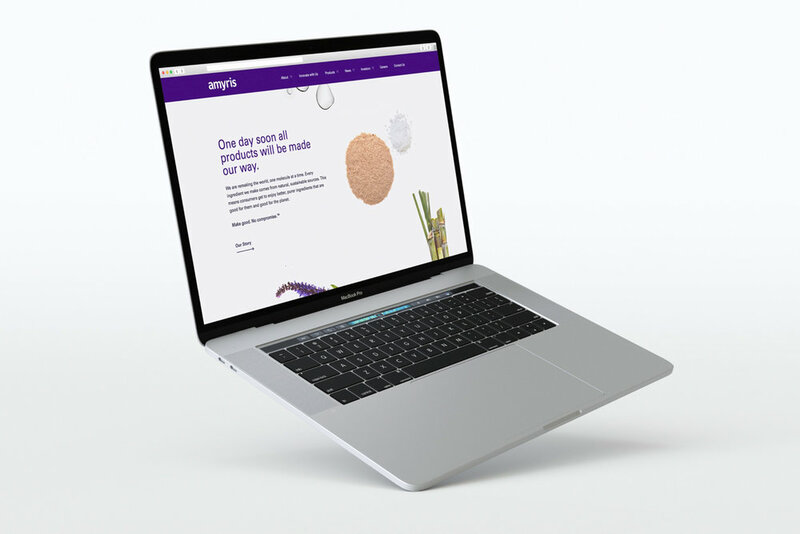 A confident, new wordmark was developed to reflect a consumer-friendly health and wellness brand. 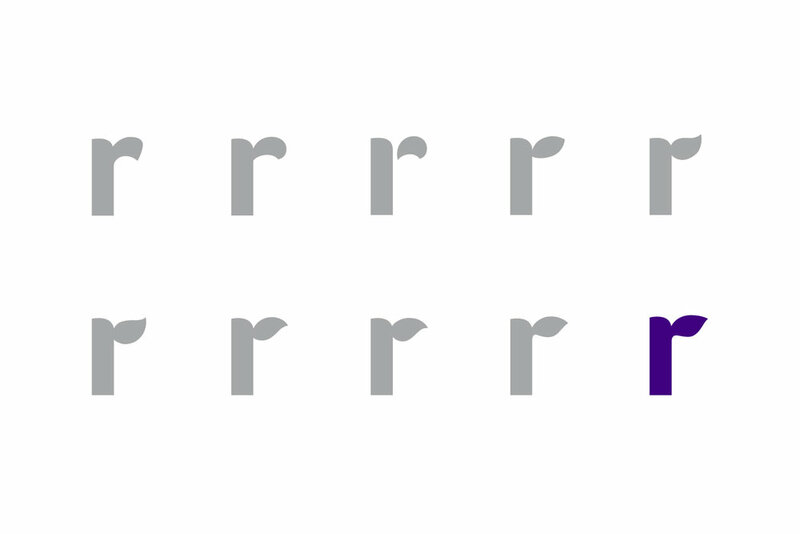 Based upon the sans-serif typeface Foco, the new wordmark was customized to help pronunciation, and to suggest a sustainable scientific approach.